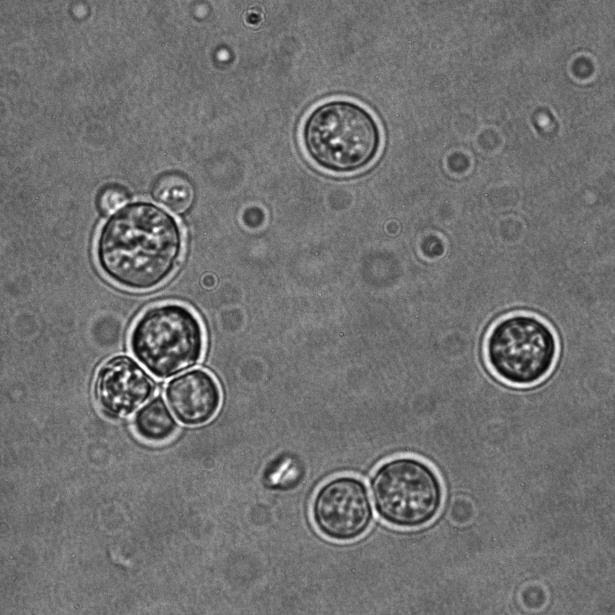 One of the most requested topics I receive is how to clean up an infected yeast sample. 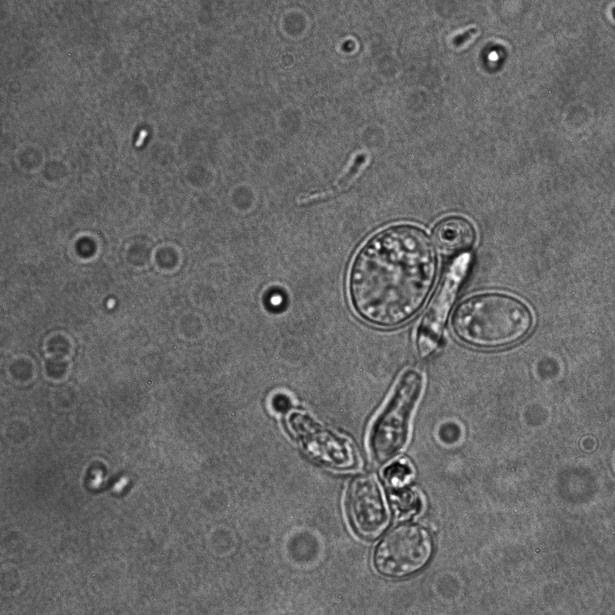 I’ve alluded to the use of streak plates, and basic identification of organisms, etc, for cleaning up yeast previously, but despite that I’ve yet to give a detailed example of how I go about cleaning up a contaminated yeast sample. Provenance has smiled down on me, in the form of an infected attempted bottle culture of a mixed sacch and brett fermented saison from The Bruery, provided to me by a local home brewer. The contamination was not a “good” one – i.e. not a lactic acid bacteria contamination – but rather one that produced a rather putrid sulphur/brimstone aroma. So how do we fix that…and how can we easily get pure strains of the brett and sacc strains used in the beer? In this, the first part of a 2-part post (part 2 can be found here), I will go through a basic procedure to enrich the Saccharomyces and Brettanomyces from the infected culture using a selective/differential media and culture conditions to enable the growth of the desired yeast species while inhibiting the growth of the undesired bacteria and yeast. In part 2, hopefully posted later this week, I’ll go through a final clean-up procedure to ensure the resulting cultures are, in fact, clean of the contaminating yeast and bacteria. Unlike most of my posts and videos on “yeast ranching” type activities, I am not showing you how to do this in a home lab, and instead have done all of these procedures in my “real” microbiology laboratory. However, there is no reason why you couldn’t do this in your home lab, assuming you have some basic equipment. Wort-agar plates (or other compatable media, for step 2, covered in the next post). A suitable work area and the equipment required for aseptic techniques. PenStrep and cycloheximide are available from many lab supply companies. I would recommend buying pre-dissolved & sterilized solutions of both – 100x (10,000U/ml) PenStrep and 10 mg/ml (1000x) cycloheximide. These cannot be autoclaved/pressure cooked to sterilize, so if you buy powders you’ll also need to buy (very expensive) sterilizing filters. If you cannot get antibiotics, there are other options. These are discussed at the end of this post. The process itself is quite simple – we are going to prepare a medium (1.040 wort or another yeast-friendly medium like YPD) and we are going to add compounds to it that slow the growth of the organisms we don’t want to recover. The use of PenStrep will block the growth of most bacteria, allowing us to all-but-rid the culture of these bastards. Cycloheximide will kill Saccharomyces yeast, but not Brettanomyces, allowing us to separate the Brett. Lastly, me are going to manipulate fermentation temperatures and times to allow Saccharomyces to out-grow Brettanomyces – thus giving us a good chance of purifying the Sacc strain. It is critical to note that these procedures will not results in a 100% pure cultures – some contaminating bacteria and yeasts will remain. As such we need a second step in the procedure (covered in the next post) to ensure purity. To our 1.040 wort we add a 1:100th volume of the 100X PenStrep (i.e. to 100 ml of wort we would add 1 ml of PenStrep). * Adding a small amount of the contaminated sample is key – antibiotics often prevent bacterial growth without killing the bacteria themselves. As such, using a large dilution (1:500 – 1:1000) we ensure that the yeast massively out-grow the bacterial population, which will make our subsequent purification of the yeast much easier. 1 in every 500 yeast cells. But what if we want to enrich not just for yeast, but for Saccharomyces specifically? This is more difficult – reagents which permit the growth of Sacc but not Brett are few and far between, and generally work imperfectly. Luckily, we can take advantage of how Brett and Sacc act in mixed cultures to allow the Sacc to dominate the culture – it won’t be pure, but it’ll be pure enough that our second step (again, covered next post) will readily produce clean Sacc strains. Grow for only a few days – once you start seeing signs of turbidity, or yeast starting to settle out, you want to move to step 2 (again, covered in the next post), or move the culture into a fridge until you can process it further. ferment at 22 C in 1.040 wort + PenStrep & cycloheximide. No bacteria were observed, nor were any Sacc-like cells. Culture at a temperature permissive to Brettanomyces growth but which is sub-optimal for bacterial growth (20-22 C/68-72 F); you will likely need to culture for a week or more to get visible growth. As with all of the above, this will not produce a 100% pure culture, so we will need to do one last step to get pure strains. And, as I’m sure you’re now well aware, that will be covered next post. To optimize yeast growth (both Brett and Sacc) oxygenation is important; ideally you want to continually rouse and oxygenate the tubes, using a shaker table or tube rotator. Since most of us don’t have these at home, the next best option is 2-3 times each day to tightly seal the tubes and give them a good hard shake. Don’t forget to loosen the cap afterwards; otherwise the build-up in pressure could lead to a burst tube. While I’ve talked about using tubes, you could also use foil-capped or even air-lock capped flasks instead. Tubes are easier, and we also do not need a large volume for step 2. While the above images may look like the cultures are pure, it is highly unlikely that they are actually pure. Antibiotics generally only kill dividing bacteria, meaning any dormant bacteria remain viable and can easily out-grow once we throw these samples back into antibiotic-free wort. If you cannot get PenStrep, an extremely high IBU wort (60 IBU or more), acidified to pH 3.5 with lactic or phosphoric acid, can be used instead. This will not rid a culture of bacteria as well as antibiotics, but it should be sufficient to suppress bacterial growth – when combined with cooler temps and a short growth period – to the point where you have a good chance of pulling out pure strains in the second step of this process. 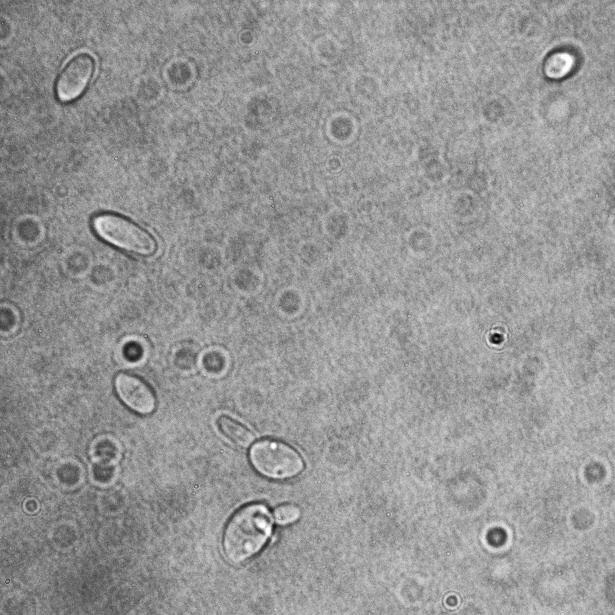 A microscope can be a real life-saver here – it will allow you to quickly assess the success of the enrichment steps covered in this post, and will allow you to very quickly screen the pure colonies produced using the methods in the upcoming second post to ensure they are the desires species.